Believe in Me social skills groups are designed for children with any type of developmental, communication, social, or behavioral difficulty. Our staff develops individualized strategies based on the needs of each child in order to best support positive social interactions. What is a social skills group and why are they important? Our social skills groups are highly-structured play-based groups that foster social relationships, build communication skills, and promote independence and appropriate social behavior. Peer interactions and social play are crucial for children's development. These skills do not come easily for all children, especially those diagnosed with autism (for more information, click here). Teaching and fostering these skills can have a significant impact on children's ability to engage with their peers and to create friendships. How do I know if my child needs a social skills group? Our groups are designed for children with any type of developmental, communication, social, or behavioral challenge. If your child struggles with following directions, engaging with peers, joint attention, eye contact, staying on task for activities, sharing, communicating, touching new or different textures, fidgeting, elopement, making friends, play skills, or any type of developmental challenge we are here to help! Co-founders Cassandra Generelli and Bethany Jameson have experience working with children from birth to adulthood across all developmental levels. Believe in Me's co-founders have worked with individuals diagnosed with autism, sensory processing disorder, ADHD, Oppositional Defiant Disorder (ODD), anxiety, global developmental delays, speech delays, and cognitive delays. Children DO NOT need a diagnosis in order to join our groups! What does your social skills group look like? It looks like FUN! We root all of our lessons in highly-engaging play-based activities. When children play, they learn! Our groups are 60 minute drop-off groups. The hands-on instruction portion of our group is 55 minutes long; we reserve the last 5 minutes of each group to transition the children back out to their caregivers so we may individually discuss progress, concerns, and carryover strategies. What will my child do in your group? Each group consists of an initial circle time (greeting), reading of a social story, hands-on sensory activity, gross motor movement game, and closing circle (farewells). Activities are developed to ensure social skills are practiced and modeled throughout the group. 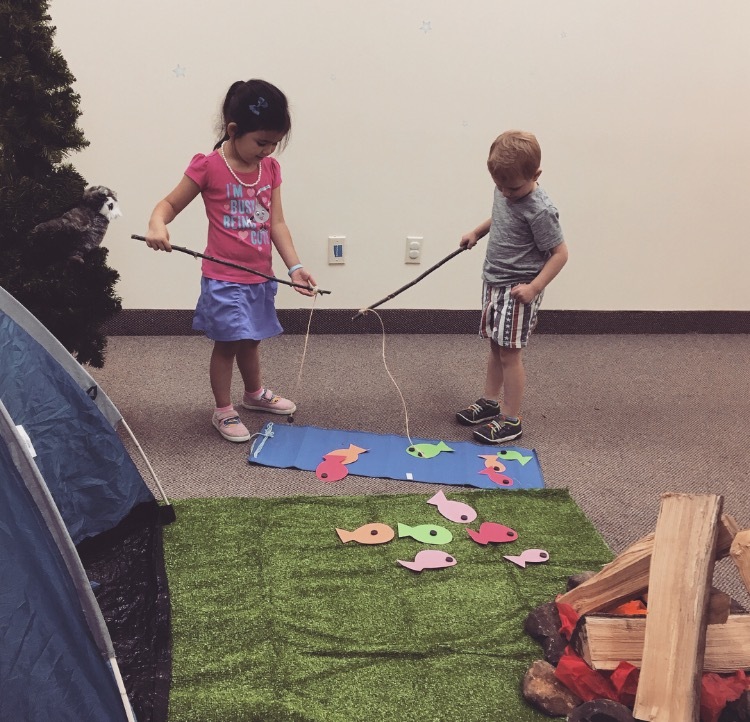 Some of our favorite activities have included cooking, making Play Doh, obstacle courses, scavenger hunts, making crafts with sensory materials, and relay races. Who runs your social skills group? Our groups are facilitated by our co-founders Cassandra Generelli (BCBA) and Bethany Jameson (Special Educator) with the assistance of highly trained staff members. Our class sizes are kept small (maximum of six children per group dependent on age and developmental level). To ensure each child is given individualized attention we maintain an extremely low ratio. Our groups typically hold a 2:1 child:staff ratio, however 1:1 assistance is added as needed. What is the schedule for your social skills group? Each social skills group is held once a week; each group has its own scheduled day/time. Our weekend social skills groups are run as three-week cycles (held once a week for three consecutive weeks) and our weekday social skills groups run in four-week cycles. Cycles are purchased as a package prior to the start of each month. This ensures we are able to provide the appropriate number of staff and materials. Consistent attendance also assists the children in building their relationships and developing a routine. Additional groups are added as needed. I'm interested! What happens next? Let us know! You can call, email, Facebook, or post a letter - however you'd like! Please see our Contact Us page for our contact information. During your initial consultation, we will discuss your main concerns as well as find out more about your child to place him/her in the appropriate social skills group (depending on age, current skill set, and developmental level). We will schedule a FREE initial trial class where we will evaluate and assess your child's needs to develop the most appropriate individualized approach in moving forward.